Just when the Nintendo E3 hype train was already at supersonic speed, leave it to Masahiro Sakurai to bring forth even more news about Super Smash Bros. for 3DS and Super Smash Bros. for Wii U in a secretive developer roundtable that was nonetheless chronicled through liveblogs and Nintendo’s own Twitter page, among other sources. There is a lot of new information about the new Smash Bros. here, so cue the fanfare. First things first, Pac-Man makes his first appearance in Super Smash Bros. 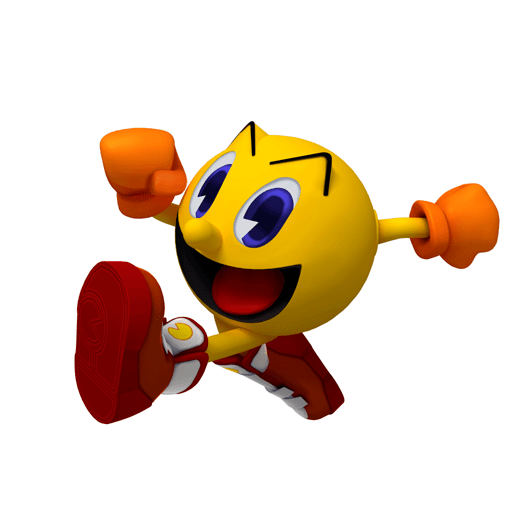 Although he apparently looks like his Pac-Man World version most of the time, he can apparently transform into his classic 8-bit form. His attacks utilize such things as the series’ ghosts, pieces of fruit, and fire hydrants. Yes, fire hydrants. He can eat Power Pellets, too. Considering Namco Bandai co-developed the game, it’s hardly a surprise. 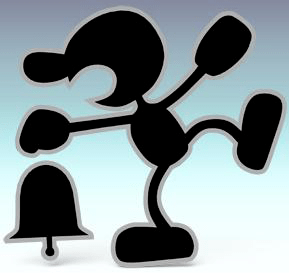 Then came Mr. Game and Watch, making his third Super Smash Bros. appearance. He once again brings some retro charm to the proceedings. Everyone’s favorite lovable retro hero has also returned! More information was revealed about other characters and their attacks. All of the characters in Super Smash Bros. for 3DS and Wii U can be customized, and items can increase attack, defense and speed. 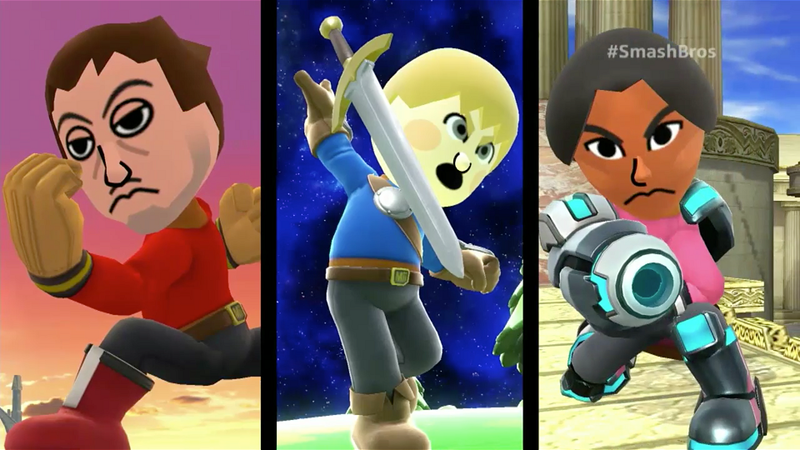 Mii Fighters can also get their own clothing and attacks, making literally anyone able to join in. Unfortunately, those who want to play with their customized fighters and Miis online are in trouble, as they’re banned (and probably for the best) from the online “For Glory” and “With Anyone” modes. In other words, if you like customization, you’re going to have to fight your friends for fun. Sorry. 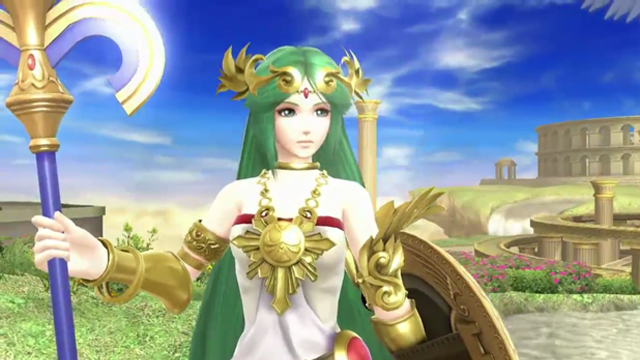 Also, Palutena’s special custom moves are completely different from the rest of the roster and not derivative. He also detailed some of the ways that Amiibo, the latest Nintendo invention, works with Super Smash Bros. for Wii U. The figures’ data are uploaded into the game and presented as computer-controlled opponents called FPs, which are basically CPUs on steroids. You can level them up to 50, well above the level cap of 9 set for CPUs, and they can even use items. Sakurai said, according to a tweet from Nintendo, that he plans on collecting every figure. Finally, there was some more news on Smash Run, the mode found in Super Smash Bros. for 3DS. Smash Run serves not only as a City Trial 2, but as a way to get rare and exclusive items. Each character in Smash Run can equip themselves with up to three items. When asked why the release dates for the 3DS and Wii U versions of Super Smash Bros. are so far apart, Sakurai cited the need for dedicated debug teams for each version, since this game (as with most of Sakurai’s games) is huge. Character transformations, such as Sheik/Zelda and Samus/Zero Suit Samus, were given the axe in order to make it easier for players to hone their skills with single characters. Although Sakurai is not involved directly with the competitive Smash scene, he nonetheless was impressed by his fans’ love for the game. He also talked a bit about how hard it was to balance characters in the series – in Melee, he did it alone, in Brawl, he did it with four people, and in this version, he did it with 12. Also, he stated that he decided to use Greninja before Pokémon X & Y were even revealed, yet alone released. As for the online, Sakurai wanted a balanced experience, and said that a LAN adapter or excellent Wi-Fi connection were absolutely necessary. Again, unless you want to play as these guys. Overall, some nice tidbits about the new Super Smash Bros. were revealed tonight. However, I’m sure there’s much more to come between now and the October and “Holiday 2014” release dates for the 3DS and Wii U versions, respectively.